In light of the NBA lockout ending, LeBron James can now take his dunking skills to people his own size, or at least his own age. James spent time during his offseason dunking on and knocking over little kids. Knocking them over wasn't intentional, but it sure was funny to watch. 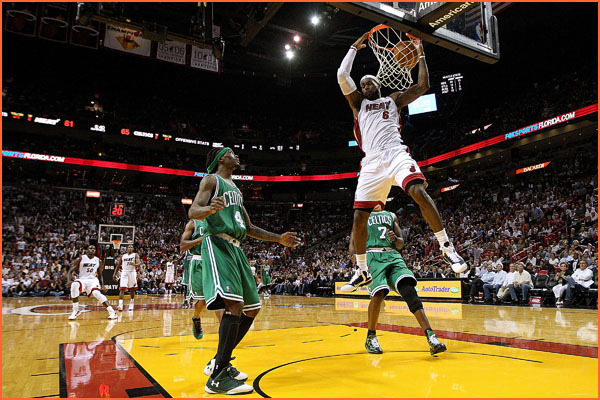 James and the Miami Heat hit the court again for the first time last night. 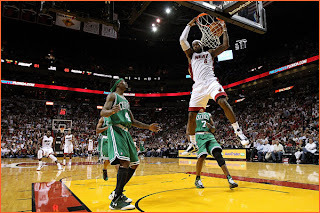 James was back in full swing as the Heat defeated the Boston Celtics, 115-107.